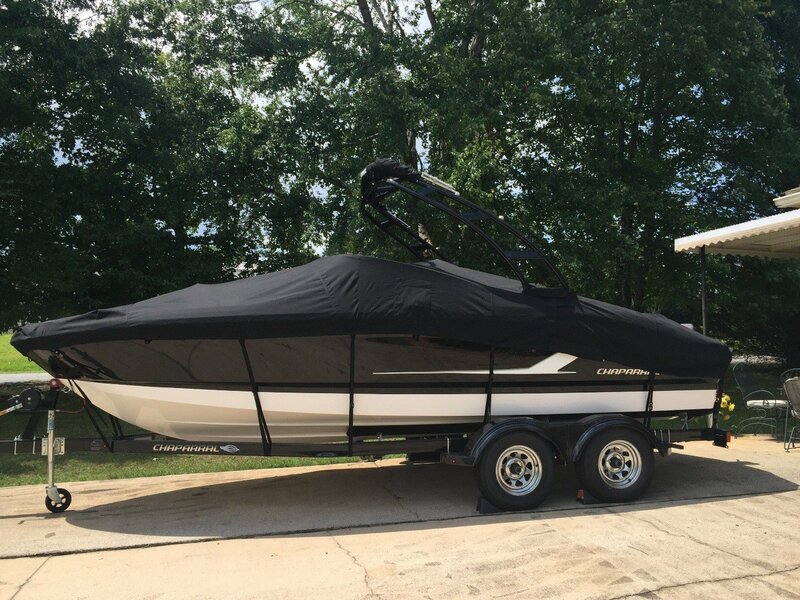 When looking for a boat cover with a tower, not just any cover will do. 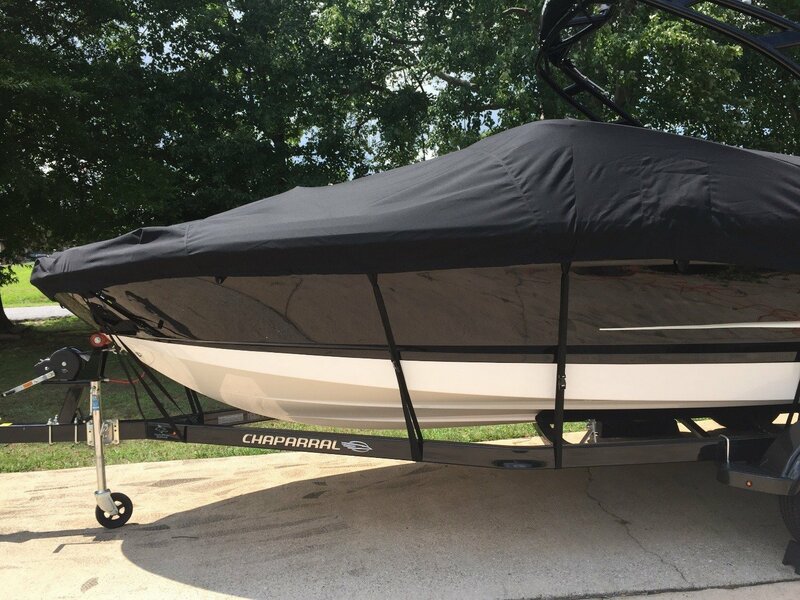 It was important to the owners of this 2017 Chaparral 21 HSO Sport to have a breathable, trailerable cover with full coverage and protection in addition to a perfect fit. They found it! 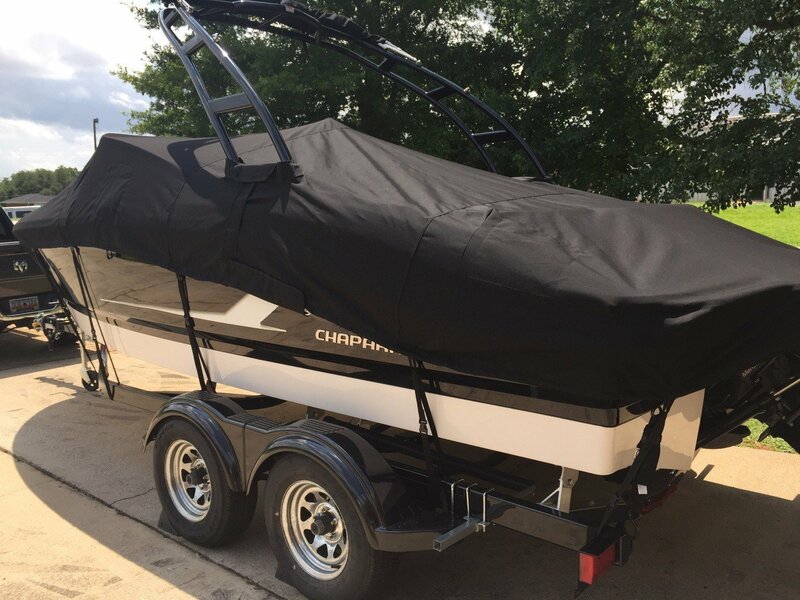 The Carver Boat Cover offered by Boat Covers Direct is the cover Adam chose for his beautiful boat. This custom patterned cover features reinforcements for the windshield and stress points, perfectly placed slots for the Velocity Arch Tower to exit, and a cinch rope in the hem to tighten the cover well. A storage bag and 12-piece tie down kit for trailering is included with the cover. The flawless fit confirms the quality and care put into the craftsmanship and manufacturing of this cover. Accept nothing less than the best for your boat! This is Adam’s Custom Carver cover! Find us online to see the covers and bimini tops we offer for your boat. Call 1-866-626-8377 or visit us at Boat Covers Direct to find the perfect cover for your boat.